Mirch pakora /Chilli pakora is a very popular street snack in India in the evenings. You can find these chilli pakora stalls in corner of the streets but only in the evenings after 5pm. Mirch pakora/Chilli pakora can be served with any chutney you like and each stall has his own variation. 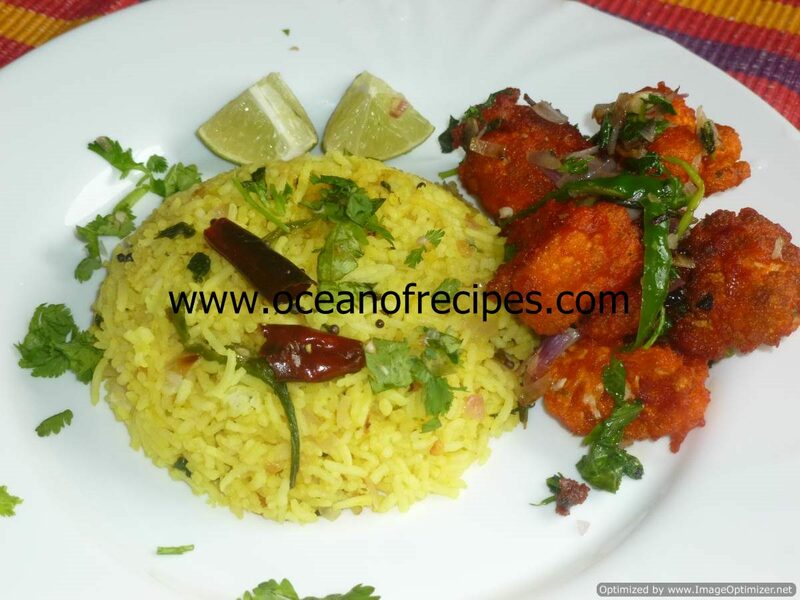 In this recipe, I have not used the small chillies but instead, I have used bajji chilli which are thick and light green in colour (you can see in the pictures). I do not know their names, maybe they are like Cubanella chilli or banana chilli or Italian chilli. 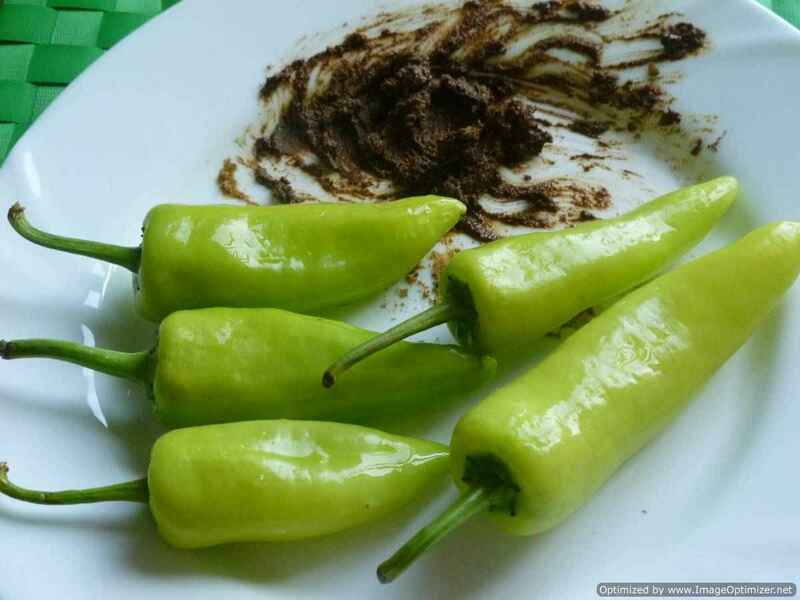 To keep it simple, buy the chillies that are available near your place, which are mild or medium hot. I have shown two batters here in this recipe and you can choose whichever you want. Both tasted good for me and the only main difference is the colour. In a medium bowl, combine one of the batter mixtures (batter 1 or batter 2). Add enough water to make a thick but flowing batter. Cut the chillies into half length-wise. Remove some of the seeds if want to reduce the heat. 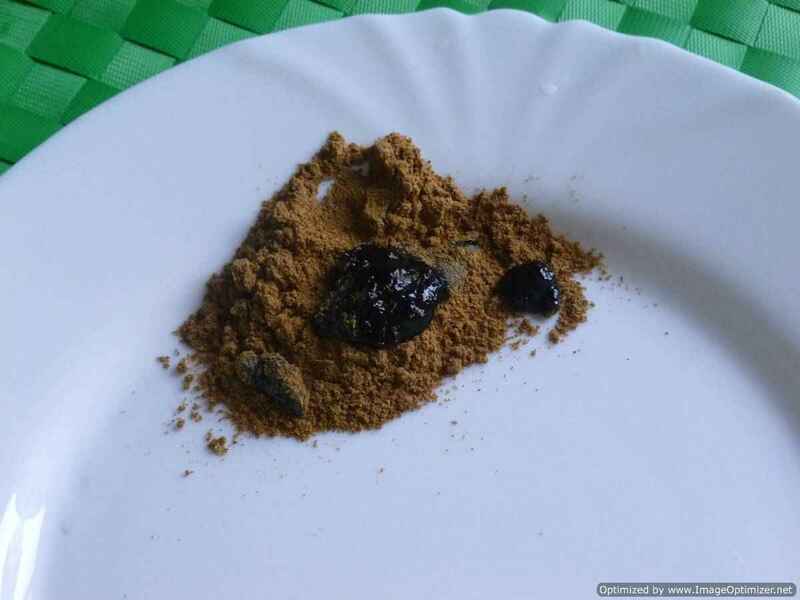 Put the tamarind paste, salt and cumin powder in a bowl, add just a few drops of water and mix well. Take just a little paste and apply (brush it) in the chilli, keep it aside. 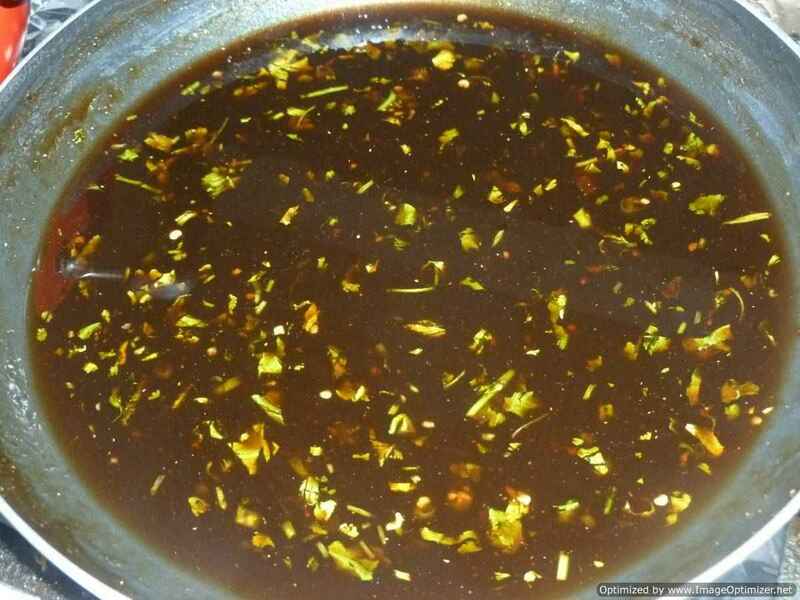 Heat oil in a deep frying pan. To check if the oil is hot enough, put a drop of the batter into the oil. The batter should rise to the top quickly. 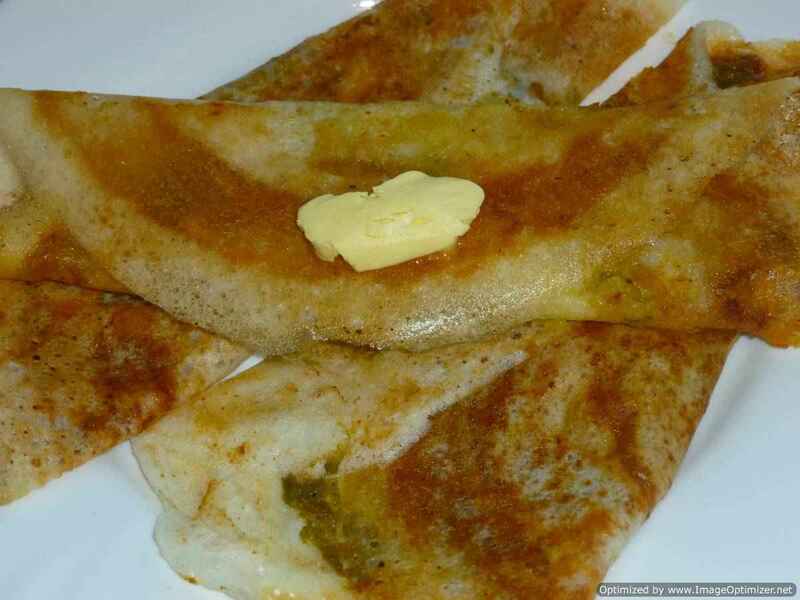 The batter should neither be very thick nor thin, should the consistency be such that chilli should be coated well. Dip the chillies in the batter, making sure it’s coated on all sides, and gently drop it into the oil. Turn the chilli pakoras in between. Fry until golden brown or cooked well. Repeat with the remaining chilli pakoras. 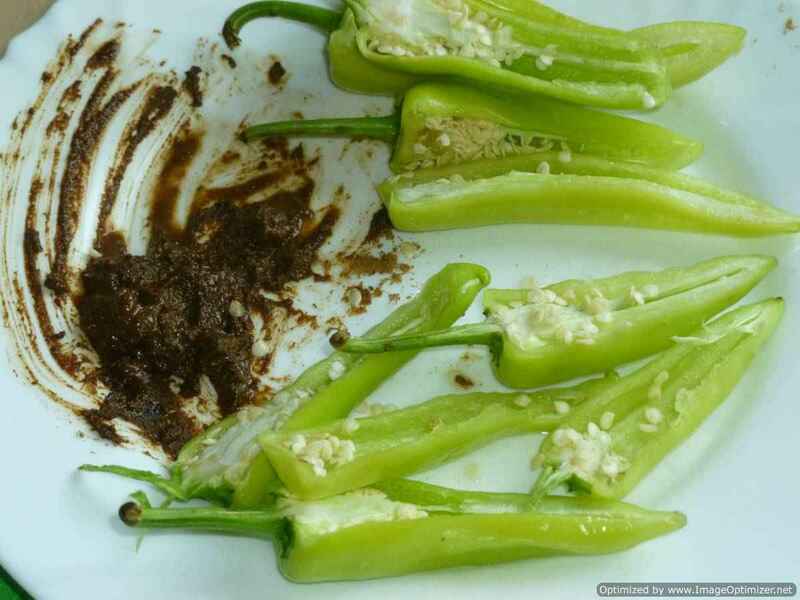 Serve the chillies with any chutney you like. 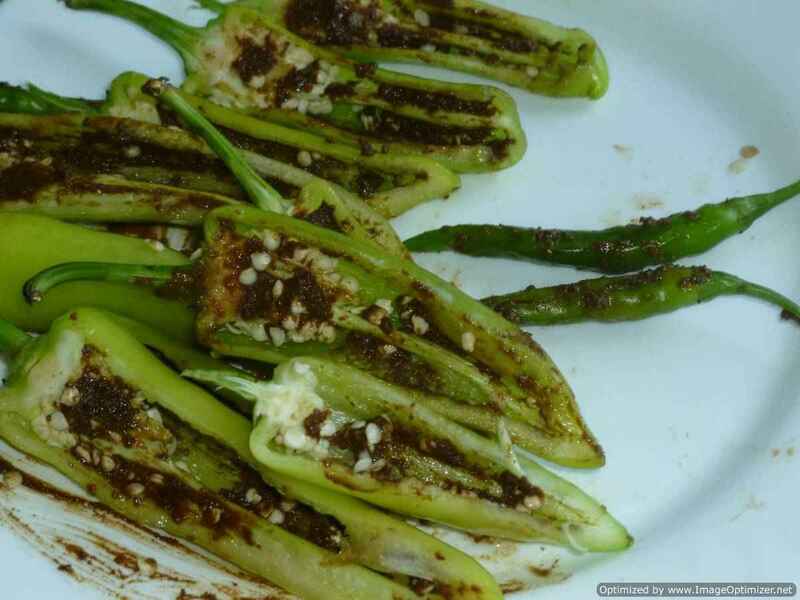 Ordinary chillies or any chilli you like can be used. Any vegetable can be used to make pakoras with the same batter. The chilli can be stuffed with minced meat curry (dry) or potato stuffing, which I will be sharing the recipe soon.